Exercise time: The group discussion time should be around 10-15 minutes, plus any additional time for an overall class discussion. Additional resources: A helpful page of information of the three-level and five-level product models is available on another website. Let’s quickly recap each of these five product levels. 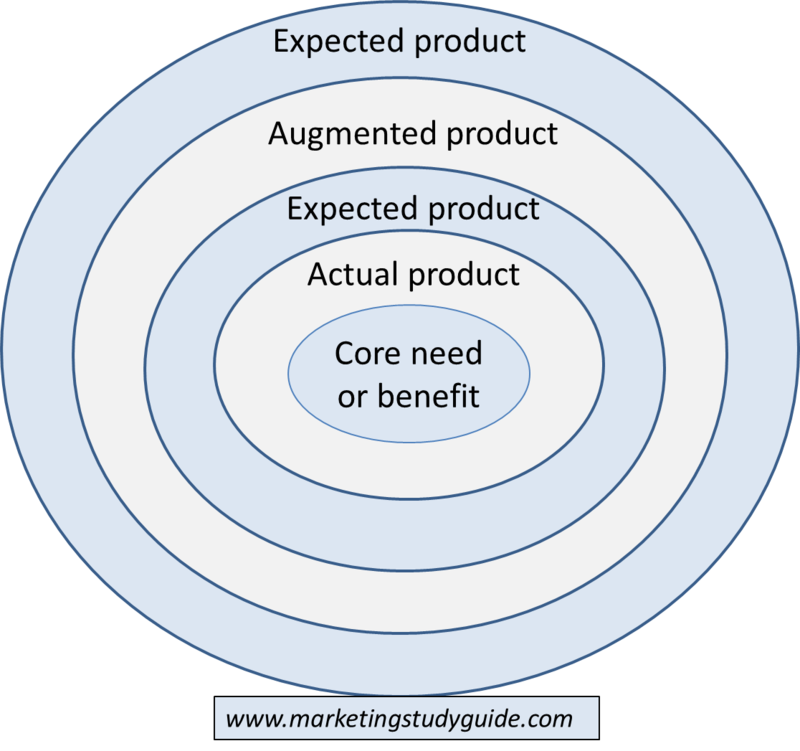 The core product is the basic need or benefit that the product is trying to meet or deliver. The best way to think about this is from a consumer’s perspective – why is the customer buying this product solution? For example, why does a consumer buy a magazine? Because they find them entertaining or it prevents boredom or fills time. Therefore, the core product for a magazine is entertainment. The actual product is that the overall product design. If you were to describe a product in detail, then you would be describing its product features, which is the actual product. As an example, consider breakfast cereals – when describing the cereal you would highlight; shape, taste, texture, size, color, aroma, crunchiness, smoothness, ingredients, packaging, name, brand, images, and so on. The expected product considers the basic expectations of the product from the consumer. 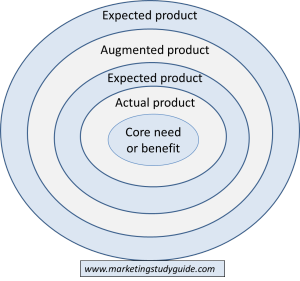 The expected product becomes the checkpoint for a marketer to consider the completeness of the product offering. If we visit a fast food restaurant, then the expectations would include: friendly and fast customer service, restroom facilities, clean tables, security and a feeling of being safe, and so on. The augmented product is the additional supporting services and features that increase the set of benefits available to the consumer. Again, using a breakfast cereal example, we could add extra value and benefits through product augmentation by: having recipe ideas on the packaging, provided a code to access free online games, and so on. The potential product considers how the product can be modified in the future, in order to generate future sales from existing customers. We can do this through product improvements and enhancements over time, which will provide some form of additional benefits to the consumer. An example might be joining a fitness center with a five-year membership contract. The consumer could be attracted to this deal because the fitness center has plans to add new facilities and services over time. Pick two product categories – one should be a physical good and the other should be a service. For each product that you have selected, outline how the five product levels could be structured (similar to the examples listed above). In your view, how helpful is it for a marketer to split the product into its different product levels? Do you think that the five-level product model has any extra value to a marketer, as compared to the three-level product model? Previous Previous post: Overly aggressive competitive marketing strategy? Next Next post: Can marketers become CEOs?